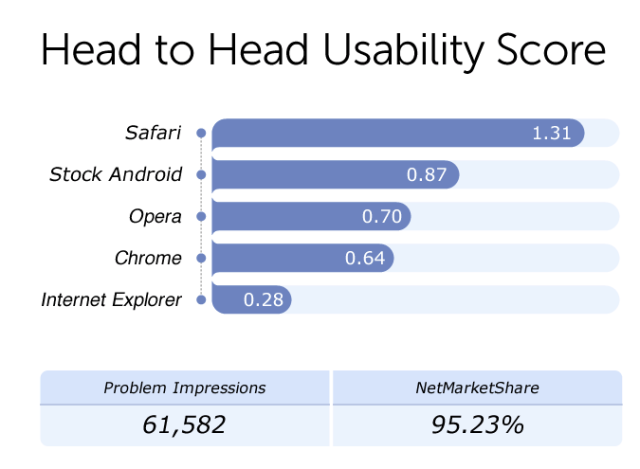 After looking through more than 60,000 different help requests for mobile Web browsers, Fixya has found that Apple’s mobile Safari is the most usable Web browser. The Apple browser was followed in second by the stock Android browser (via Tuaw). The Q&A website that focuses on solving problems on different topics such as cars, printers, tablets, dishwashers, and more recently mobile Web browsers, has combined and analyzed data from the problem impressions on its site and then posted a usability score. Given the fact that higher is better, mobile Safari’s 1.31 usability score puts it on top of all Web mobile Web browsers. Some of the pros as highlighted by Fixya: it has a dead simple UI, so its simplicity helps to boost the browsing experience. Secondly, it is able to take multiple actions with a specific webpage, such as adding a bookmark, adding it to the home screen for easier access, or mailing the link, sharing it on social media, or printing the page. The third positive feature, as highlighted by Fixya, is the reading list. However, Safari isn’t perfect, so it has its share of issues. 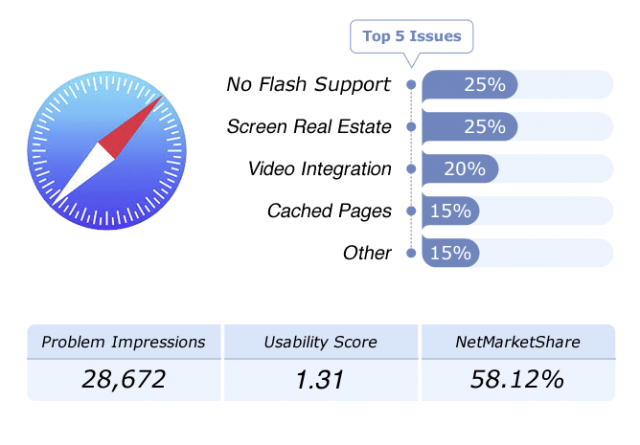 The top 5 are no flash support (mentioned by 25% of the problem impressions), the screen real estate (yet again mentioned in 25% problem impressions), video integration, and cashed pages is the other category. Opera ranked third in the Fixya list, followed by Chrome and finally Internet explorer. 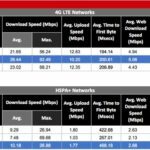 The whole report can be read on Fixya’s site.